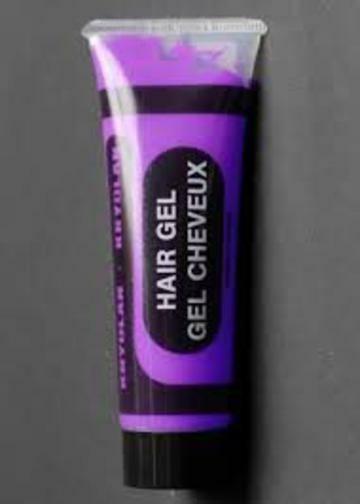 Only 2 left as of February 23, 2018.� Kryolan Hair Gel is a thick opaque temporary hair color styling gel available in an easy to use squeeze tube. This hard-holding formula may be used for styling as well as coloring. Comes in a 1.7 oz tube.� Bright vibrant colors do not stain. Washes out easily with shampoo. Kryolan Hair Gel is a thick opaque temporary hair color styling gel available in an easy to use squeeze tube. This hard-holding formula may be used for styling as well as coloring. Comes in a 1.7 oz tube. Bright vibrant colors do not stain. Washes out easily with shampoo.